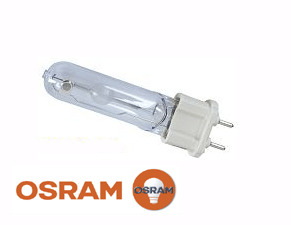 The OSRAM HSR575 / 72 is a single ended metal halide lamp with outer bulb. The lamp has a high luminous flux and with 1000 hours a high average service life. Due to its increased color temperature (7200 K), the light appears to be more bright for the human eye. The HSR575 / 72 is the right choice for the disco, club and touring field.